Australia and Denmark, despite previous American objections to the move, say they will join a new Beijing-backed investment bank that some in Washington say could supplant the US-dominated International Monetary Fund. 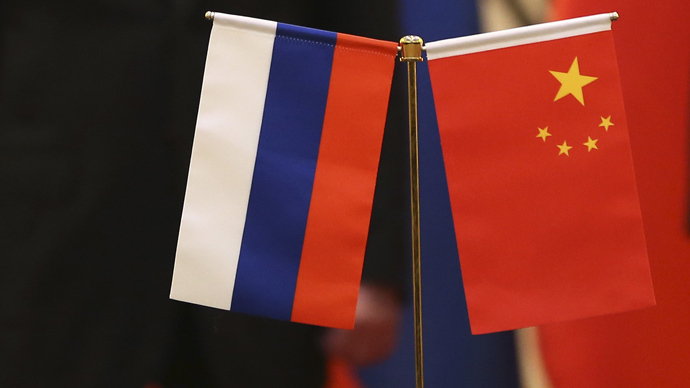 In a testament to China’s growing economic clout on the global stage, western countries are lining up to join the Asian Infrastructure Investment Bank, or AIIB. Australian Prime Minister Tony Abbott and Treasurer Joe Hockey expressed their country’s willingness to join AIIB as a founding member, but have attached tough conditions to their membership. 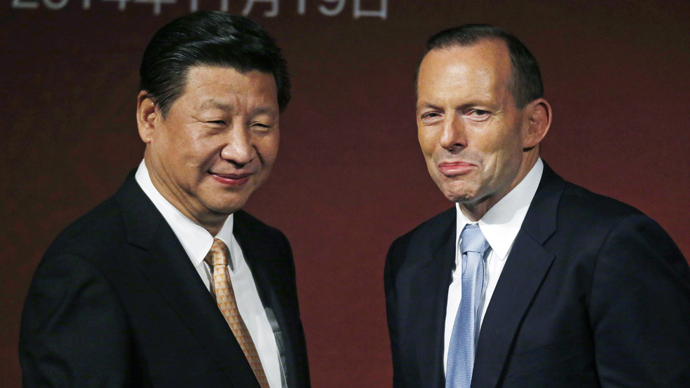 “The government has discussed the AIIB extensively with China and other key partners inside and outside the region,” Abbott and Hockey said in a joint statement. “Key matters to be resolved before Australia considers joining the AIIB include the Bank’s Board of Directors having authority over key investment decisions, and that no one country control the bank,” they said. At the same time, they were at pains to emphasize that their membership in AIIB did not preclude their continued cooperation with the leading western financial institutions. “Working with other key multilateral institutions such as the World Bank and the Asian Development Bank, the AIIB has the potential to play a valuable role in addressing infrastructure needs and boosting economic growth in the region with potential benefits for Australia,” the statement said. The Australian treasurer played down claims that Canberra’s move was a slap in the face to the United States. “From time to time we might disagree but ultimately I think the United States will join the Asian Infrastructure Investment Bank. It will just take a bit of time,” he told Sky television. Many in Washington view the emergence of the AIIB as not only a direct challenge to the US-led IMF and Asian Development Bank, which provide loans to struggling economies, but as proof that China is now a full-blown global economic powerhouse in its own right. At the same time, Washington has expressed concern that the Chinese-led bank could run afoul of international governance issues, leading to possible corruption and mismanagement. Beijing and Washington have traded barbs in the past over the ways both sides conducts economic policy. Also on Sunday, from faraway northern Europe, Denmark released a statement to "announce its intention to apply to be a founding member" of the AIIB. Danish Minister of Trade and Development Mogens Jensen called AIIB, which is anticipated to begin operating by the end of the year with $100 billion in capital, a “significant and exciting development in the world order." "Since many Danish trade interests as well as development cooperation interests will be at stake in AIIB, there are many reasons to engage in and influence AIIB’s investment decisions from its beginning," Jensen said in a statement. On Saturday, Russian First Deputy Prime Minister Igor Shuvalov said his country plans to join the new investment bank. Other European countries, in an effort to meet the March 31 deadline, have expressed their intention of joining AIIB, including Britain, France, Germany and Italy, causing some embarrassment for the Obama administration.